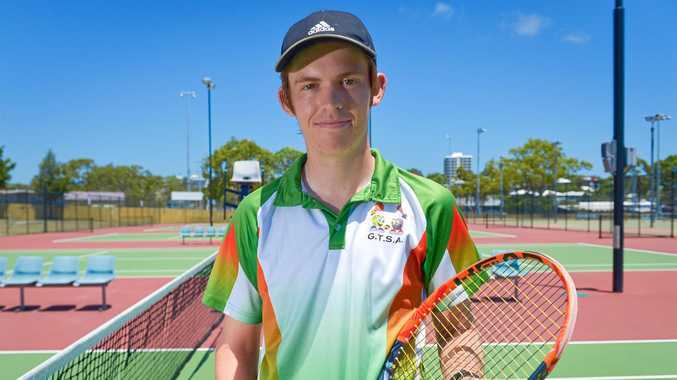 TENNIS: Gladstone Tennis and Squash Association has produced another athlete bound for scholarship duties overseas. And serving up to Matt Ridden is a choice of riches because the 17-year-old has two colleges in the US to choose from - California's Ridley College and Wallace State in Alabama. "I started when I was around eight and have really enjoyed it," Matt said. "I have just been progressing and getting better, going to tournaments." His talents were recognised when Tennis Australia sent out emails with details about a program called National Scouting and Recruiting (NSR Australia). "They promote you online to US colleges where you are likely to get scholarships," he said. "That's basically how it came about and at the time I was one of the 14 chosen and it was a fairly new system then so I was lucky to get in." While Matt has an option of two colleges to choose from, he said that there may be more. "I might get more offers and there's still a little bit more time, but really I should be trying to pick one of these two because they'll probably be the best two offers that I'll get," he said of the scholarship choice which starts in August. "Definitely within the next month or two I'll need to make a decision by then so that I can get the paperwork started." Matt has known about him being in the running for more than a year, but the 'secrecy' was more of a process to allow college coaches to assess his capabilities and to also see if he was the fit for their tennis programs. Matt was born in Kent in the UK, but moved to Gladstone when he was six. "My mum's side of the family lived in Australia so we moved to be with them," he said. Part of the scholarship process was of course to excel in the classroom and that is exactly what Matt has done. "I have reached my goals with my education and where I wanted to be and at the end of Year 12 I did pretty good to where I got to," he said. "In Year 11 where the recruiting system (NSR Australia) chose me, they said I had to keep my grades up to keep the scholarship as well." It's a win-win situation for Matt because he said he obviously needs to get the best out of himself on the court and aims to crack into the professional circuit. But if that does not eventuate, there's always the academic side to fall back on. "It's a possibility for sure," Matt said of his tennis ambitions to play professionally. "I'd need to work really hard on my tennis especially because I got my scholarship because I had high academics and pretty good tennis ability, so I'm not up there at the top abilities with my tennis. "But I have achieved enough to get this scholarship. "If I had the chance to go pro in tennis, then that would be awesome." Not without any semblance of surprise is Matt's idol who is the 'Fed Express' Roger Federer and the Swiss ace is someone Matt looks up to. "I like how he plays with his style and composure and really look up to him and he's turned his game around and he's succeeding recently, so I'm really happy about that," he said. Matt's strength is his forehand and added his serves have improved under the guidance of coach Rob McBean. "He's a really good coach and he's been my coach sine I have started playing," he said. 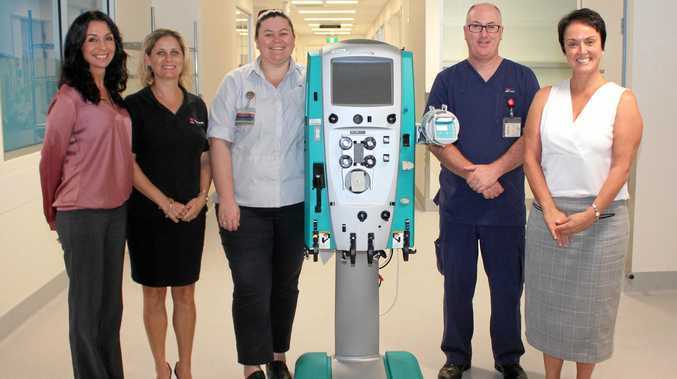 "I've also had help from my friend and his dad and all my friends in Gladstone where we always have hits and help out each other." Matt paid homage to Rockhampton-born Aussie tennis legend Rod Laver, who made the big time from a country up-bringing. 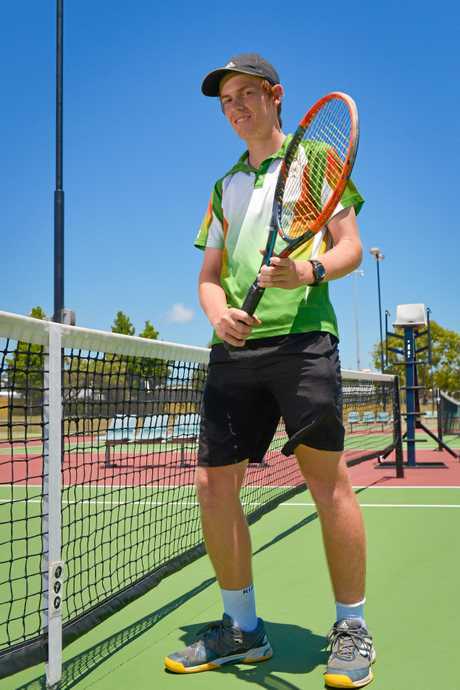 "To live in regional towns and succeed well in your chosen sport, I'm really happy with how my tennis has gone so far and I really like to keep it up."